In December, Madison County Tourism, Inc. launched the Central New York Food and Beverage Trail, which connects 24 of Madison County's farm-to-table restaurants, craft beverage producers, and other snack and dessert vendors—all of which source products from New York State farms. “This is a great way for visitors to explore the fantastic food and beverages of Central New York," said Dr. Joan Johnson, President of Madison County Tourism. “We're proud of our history, including our more than 200 years of hops heritage. Our farming remains vibrant today, with more than 830 farms in-county cultivating everything from dairy to grains and beef to bees. That's why we're embracing the farm-to-glass and farm-to-table movements with this Trail." All 24 “Trail Stops" are offering specials in their establishments to patrons holding the official trail Passport. The 28-page booklet contains descriptions of each Trail Stop, a map of the county, and a few tips for traveling the area. After a Passport holder presents their booklet to receive the special, they will receive a sticker on the establishment's page. Passports are available for free at each Trail Stop. A major advertising push is currently underway to support the Trail, with ads targeting "foodies" and beverage connoisseurs on Facebook, Instagram and relevant websites. 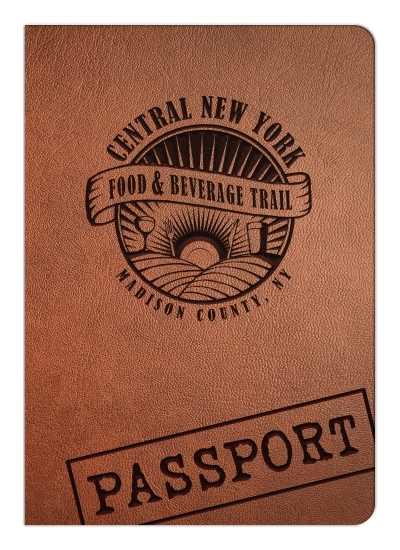 To view all 24 Trail Stops or request a free copy of the Trail Passport, visit www.CNYFoodandBeverageTrail.com.